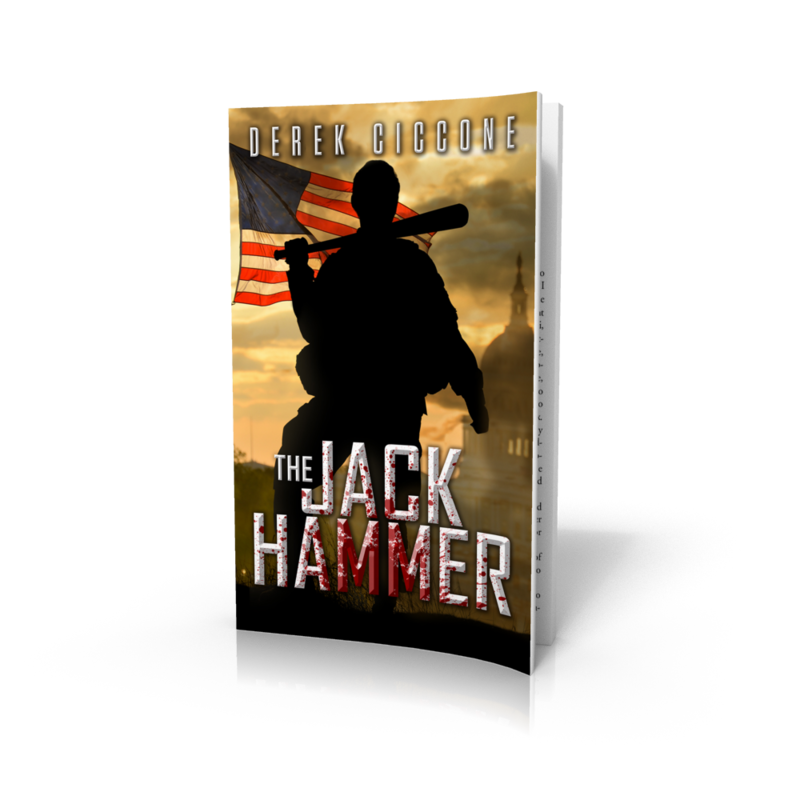 Historical thriller: I've always enjoyed adding different style of books to my own. 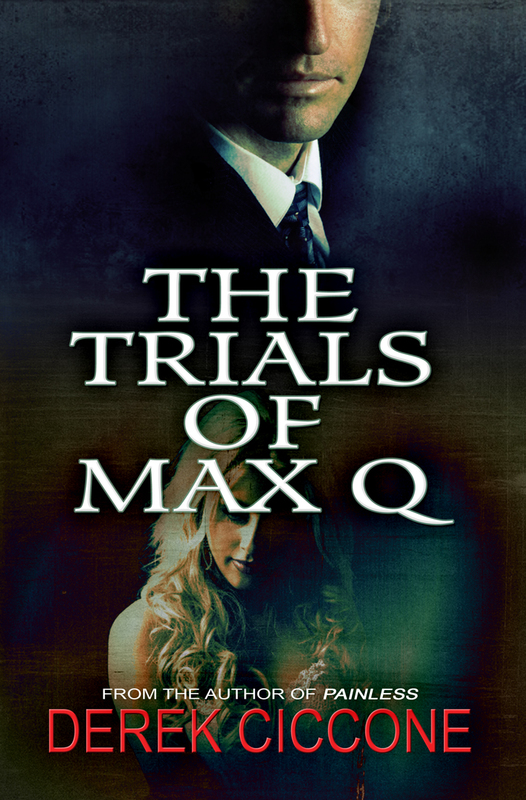 The Trials of MaxQ is inspired by the “legal thriller,” while Kristmas Collins adds the elements of a “Christmas mystery.” So after obviously reading one too many Dan Brown novel a few years back, and possibly a couple drinks, I decided to write a story that mixed my typical style novel and real history. At times I thought I was a researcher more than a writer! So props to those who make a living writing these types of novels. Not to mention, I got some real strange looks from those who took notice of the Nazi/Hitler books strewn throughout my living room. Um ... is there something you want to tell us? 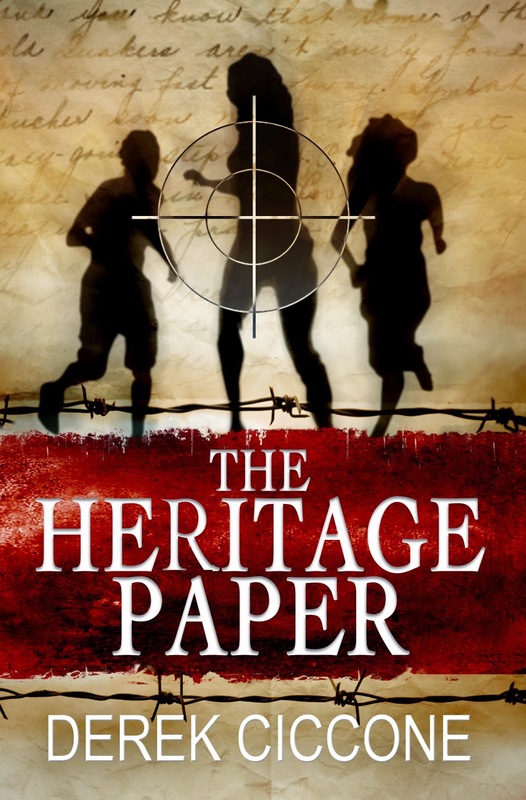 The Heritage Paper, is available as an ebook online at Amazon, Barnes & Noble.com, Apple iTunes, and most online book stores. Happy Summer, everyone! 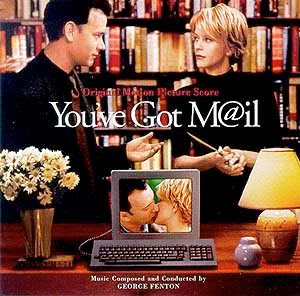 Here is the annual summer mailbag, where I summarize the most common reader questions I've been sent over the last few months, and try to answer them somewhat coherently. Twitter (@DCicconeBooks) and Facebook (Derek Ciccone Book Club). Will there be any new books out soon? I've been in the writing dungeon typing away the last few months - which isn't a bad place to be considering the heat in Connecticut this summer! - and new books are on track to be released before the end of 2013. The first is a stand-alone thriller called The Jack Hammer, which should be out later this summer. I'll post plenty of updates as the day gets nearer and clearer. Will any of your books have a sequel, or be made into a series? While I do enjoy coming up with new characters for each new story and adventure, and all six books currently out are stand-alone, the short answer in YES! The first is planned for later this year, and is the followup to Officer Jones. When we last left JP Warner and friends, he'd finally made it back home (and a lot of stuff I won't mention in case you haven't read it) but in the upcoming story, the hard part for JP will be staying there. It is coming along very well, and I think those who liked Officer Jones will really enjoy it. Will there ever be another Painless? Probably the most common question I receive. Thrilled that so many connected with the story and the characters in it. I don't know about "another" one, but YES, I do plan for Billy and Carolyn to return. I thought I needed to figure out a way to do it - if it became a situation where armies were chasing them every book, it would become totally ridiculous IMO, and cheapen the original story. So in that way, it isn't built to be a continuing thriller. But I found that there is plenty of twists and turns in the "normal" life of Carolyn Whitcomb and her painlessness to make a compelling story, and reason to continue. Haven't broken ground with it yet, but something to keep on eye on for 2014. What books are available in paperback, hardcover, and can I get one signed? 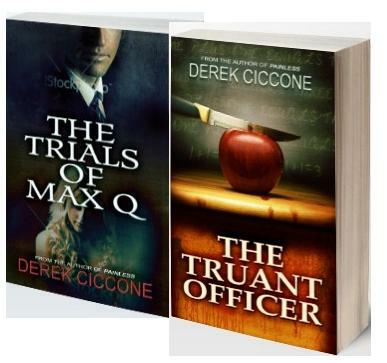 Painless, The Truant Officer, and The Trials of Max Q are all available in paperback, and can be purchased at most places where online books are sold - Amazon, Barnes Noble, etc. Painless is the only one currently in hardcover. 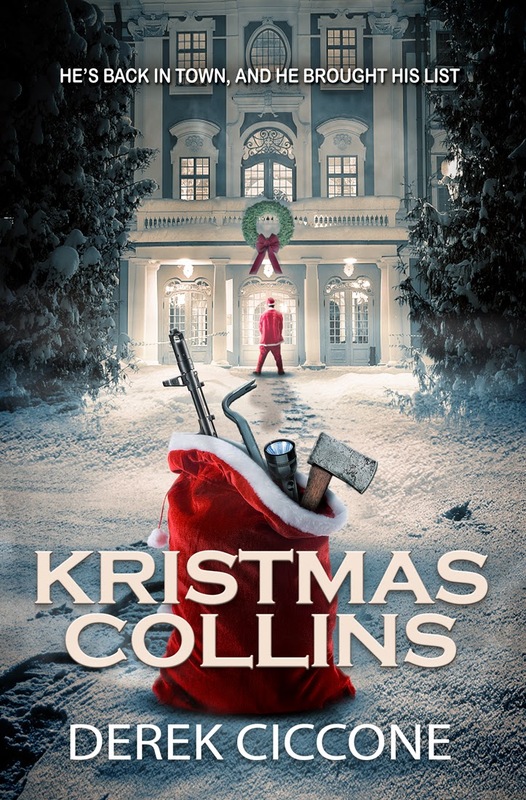 Two more books - Officer Jones, and Kristmas Collins are in the process of being turned into paperback, and my hope is that they'll be ready for the holiday season. As far as getting a signed book - ABSOLUTELY!! The best way is to drop me an email at derekbkclb@yahoo.com and I'll work with you to come up with the best way to get it to you. If you haven't already purchased the book you want signed, please hold off on purchasing until you contact me, which I've found makes the process easier. I saw your book listed under something called Breakout Books on iTunes, what is that? 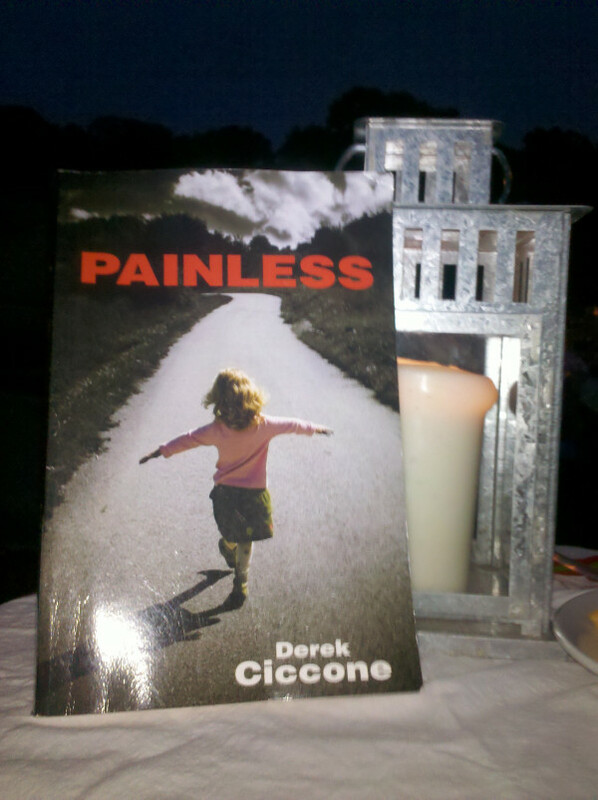 Painless was chosen by Apple last February to be among a small handful of books in the initial Breakout Books category for the "Mystery and Thriller" category. 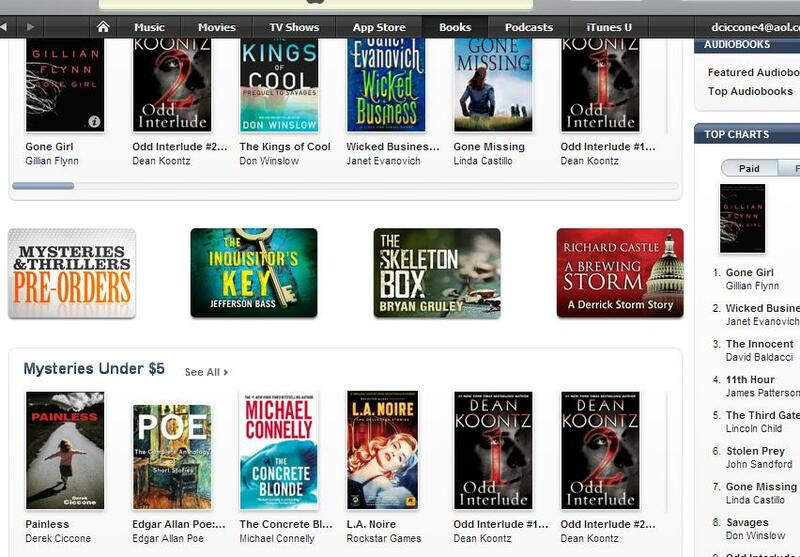 BB is a commitment Apple/iTunes made to promoting independent books on their front page, and I was very honored that Painless was included. It was picked by their review board based on reader reviews and sales, and since I never reviewed the book or bought a copy, really you're the reason it's there, so thanks!!! 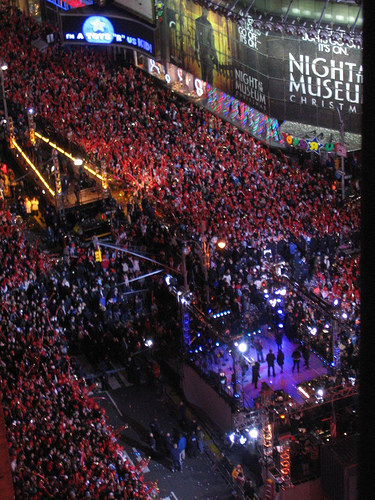 Wrote more about it here last February. 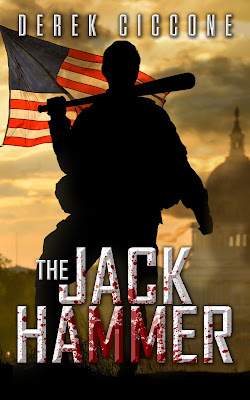 The Jack Hammer ... Coming Soon! Baseball, Apple Pie, and ... Russian Spies? Summer is always a good time to take stock in things. And when it comes to the books - how many are available and what format and price are they available in? 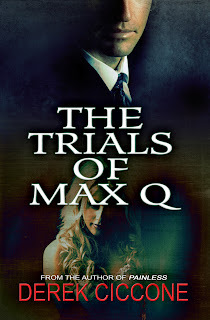 3 of the 6 are also out in paperback form - Painless, The Trials of Max Q, and The Truant Officer. 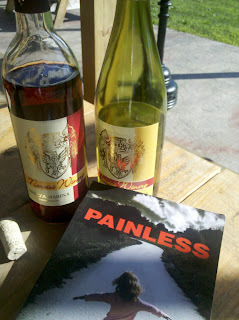 And Painless is also available in hardcover. The majority of the paperbacks are priced under $10. Thanks you for your time ... now back to your tanning and fruity drink. Apples's iBookstore recently began a new promotion called "Breakout Books". It is dedicated solely to indie/self pubbed books, which will (at least for the time being) be a headliner when someone clicks on the iBookstore. Sort of like having your book displayed at the merchandise table that the customer first sees when they enter the bookstore. 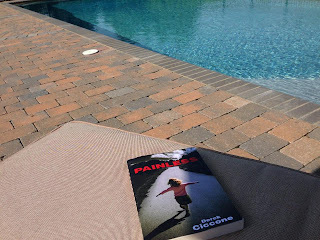 So it goes without saying (or typing) that I'm honored that Painless was chosen to be one of the representatives in the Mystery/Thriller section of Breakout Books!! But even if it wasn't chosen, I would have (grudgingly, while biting my bottom lip:-) admitted that this is a really good thing for indie authors, and another positive step in the quest to have a seat at the table where we can be judged on merit. Smashwords founder Mark Coker goes into great detail at his blog about how Breakout Books is an important benchmark in the ongoing seismic shift in the book industry, and worth a read I think. It also gained the attention of the NY Times, which covered the creation of Breakout Books. While I, like most indie authors, sell ebooks at numerous sites, I have a special affinity for Apple, since they were my first. Ebooks were an obscure concept to me when my first book Painless came out in early 2010, and my reason for even publishing my book as an ebook at the time was that I heard of a promotion that Smashwords had partnered with to provide free ebooks to soldiers overseas, which I thought was a pretty cool idea. In fact, I had such a low expectation of ever selling an ebook, when Apple put out something called an iPad that spring, my reaction was, why not just give it away for free and who knows, maybe I'll attract the attention of a couple people who will buy one of my "real books". Almost 3 years and 3,070 reader ratings later (4 star average) Painless is still going strong at Apple. Breakout Books might be their first promotion (that I know of) that focuses on indie/self-pub books specifically, but I have always found the Apple platform friendly to indie authors like myself. Besides the obvious, which includes allowing ebooks to be sold on their space from the outset (taken for granted now, but a the largest obstacle facing indies for a long time. See: bookstores) and the aforementioned ability to give it away for free to build name recognition, one of the big things for Painless once it became a paid book was Apple's promotion of lists that were all inclusive to indie authors. The biggest example was the promotional list/rank on the front page of the Mystery&Thriller (see pic below) section called "Mysteries Under $5". Since most indies like myself sell our ebooks for under $5, it indirectly promoted indie books ... and provided an even playing field to compete with the "established authors" who chose to price their books under $5 (and I thought gave great credibility to indie books when they ended up side by side a popular author like Patterson, or a classic like Poe). This list has been a staple for Painless. Note: I haven't seen it in the last few weeks since the latest reconfiguration, and hope it returns soon!! Apple also has shown other attributes that I found to be indie friendly. One is the rating system. No review is required, unlike some ebook sellers. As a reader myself, I often don't have the time to write a full review, or sometimes don't feel comfortable posting a detailed opinion, but would have left a quick rating of the book if that was an option. Obviously, a detailed review is a higher form of feedback, for both author and reader, but numerous ratings combined together can also provide similar credibility for a book - as I mentioned, Painless has accumulated over three thousand ratings (also has many reviews, but much less than 3k), which I believe leads to some readers who don't know me or my books, to take a chance on it. This wouldn't happen at review-only sites. No surprise, but I've also found my Apple readers to be very tech and Internet savvy. This is very important to the indie writer who makes a living off of social media more so than book signings or traditional marketing campaigns. And while I haven't done a detailed analysis of this, I think the percentage of Apple readers that join my Facebook page or follow me on Twitter is much higher than readers who purchased the book from other sites. This is very important for not only the "spreading the word" aspect, but allows me to communicate new releases, etc. to that reader, which makes long-term retention more likely. A lot has happened since I got that first reader response from a reader who read Painless on that new contraption called an iPad almost three years ago, and I think "Breakout Books" is the latest example of the natural evolution of the changing book world, and once again Apple is on the forefront. Do you have any books planned/coming out soon? I have a book called The Heritage Paper coming out sometime this fall. Some call it "the Nazi book" because it centers around the possible escape of some notorious war criminals previously believed to be dead. Think Painless meets a Dan Brown conspiracy theory book. On the other end of the spectrum, I just finished a Christmas/Santa themed mystery. I'm hoping to get that one out by, well, Christmas. I'm an Amazon Prime member - will any of your books be in Amazon Lending Library/KDP Select program? Their are a lot of advantages of this program for authors, and I would like to give it a try with one of the new books (no plans for the books that are already out to be). But the problem I have (and its really a good problem) is that Amazon requires a 90-day exclusivity to be in the program, and I have too many great readers at Apple, Barnes & Noble and other places to provide exclusivity. For me to do it, I need to find a way to be able to give those readers some type of access. 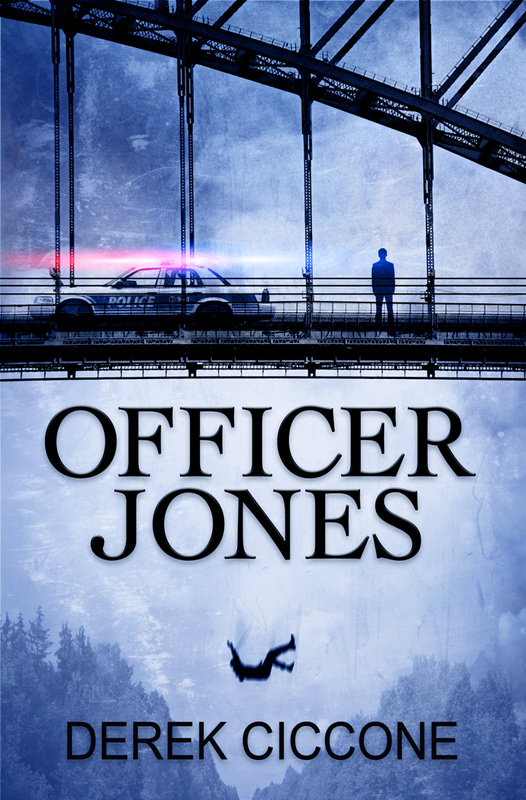 My last book Officer Jones, I offered free copies to my Facebook and Twitter followers, trying to get some "buzz" going before the book came out, and it worked really well. Perhaps I could do something like that to make it work. So not sure at this point. Why do you sell your ebooks for so cheap? For anyone who'd like to spend more for the books, I will gladly accept any donations (-: But seriously, I think ebooks in current market should be priced $5 and under. I have sold mine anywhere from free to $6.99, but usually $2.99 is the normal rate. I do think they should cost slightly more, and $4.99 is more in line with what they're worth , but $2.99 seems to be the price that leads to the most volume, and is best for business. But at either of those price points, it's still about the price of buying a coffee and a paper, so I'm glad I can make them affordable for all. You have put out a lot of books this past year, and I see that some just came out in paperback. Can you give me an update on all the books you have out? How do I get a signed book? 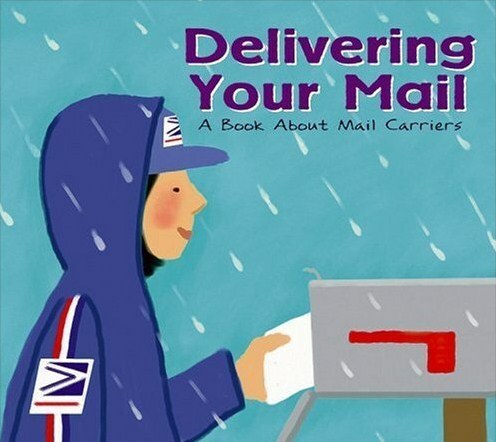 Best way is to email me (derekbkclb@yahoo.com), and we can work out best way to get a signed copy to you. I liked _____ book, will you be bringing those characters back in future books? I think you will see that, starting next year. Truant Officer, Max Q, and Officer Jones all lend themselves to a "follow-up." I'm not sure Painless would work with another mystery/thriller, but I am working on something that will bring Carolyn, Billy and the crew back in 2013 in some form. So stay tuned. Is there a place I can go to get updates on the books? You rarely post at this blog. I know, I know ... the blog seems to have gotten lost this past year. But I update all the important stuff at the Facebook site (Derek Ciccone Book Club) and I'm constantly tweeting at @DCicconeBooks. And if you want to get on my emailing list, just send me an email to derekbkclb@yahoo.com and I'll make sure you get on it. 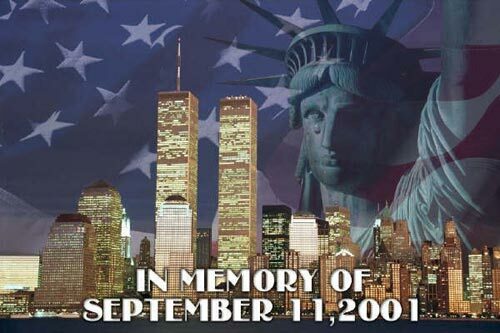 When the law ends, the pursuit of justice begins! Cooperstown Village is shocked when the local hero Drew Anderson is accused of killing one of the world's most infamous women. One time legal star, Jack Lawson, and his partner, Jessica Shepherdson, end up with the case that everyone wants to “go away,” and some are willing to go to deadly lengths to make sure it does. Darren McLaughlin thinks he's having a nightmare as he watches his wife being abducted. Things turn for the worse when Darren realizes he didn't know his wife as well as he thought. But he stays true to his marriage vows, and knows he must do anything possible to win the race to save her. The question is: will he get there first, or will death do them part? 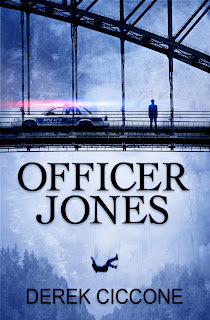 Officer Jones, a mystery/thriller featuring JP Warner is now out as an ebook at Amazon. 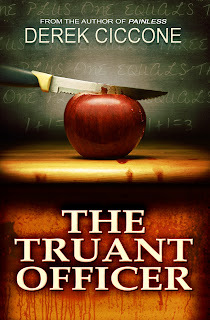 Apple, Barnes & Noble, and most places where ebooks are sold! After an assignment goes horribly wrong, JP Warner, the fearless international correspondent of GNZ News decides to return to the idyllic town he grew up in, seeking the simple life. But when he looks into the eyes of local policeman, Officer Kyle Jones, he sees the same look he's seen in the many fanatics he's covered over the years, and realizes that he's covering the biggest story of his life. It's snowing today in New England. Although, I can't really complain as it's been as mild as any winter I can remember. But the snow made me think about the warmer weather that is on it's way. It also made me think of last summer and the "Painless Summer Tour," thanks to the incomparable Shea and Vegas. 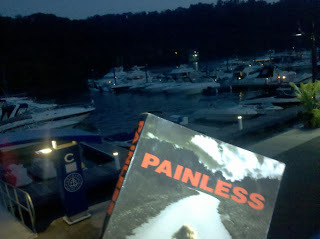 If anyone has pics of Painless or any of the books at interesting places - be sure to send them to me and I'll post them. Happy Leap Year. If the covers are done, then the books can't be far behind, right? Why cut: Wanted to get more quickly into the story. Not that it opened with frenzied action, but thought a day of house-hunting would slow things down. Also, many of the elements described, such as Billy and Carolyn’s initial meeting could be done with flashbacks, and things like his visit to her room ended up taking place at a later stage in the book. The picture: ...but you can call me Princess. Didn’t have any pictures handy of Princess Carolyn, so Princess Kate will have to do. Not to mention, she's a lot easier on the eyes than the hockey goalie from last week. As always, the deleted chapters are unedited, and might no longer fit the context of the final version of the story. “Why don’t you wash up for dinner, sweetie,” Beth addressed Carolyn while Chuck set her down. “Can we play for five minutes?” she continued to negotiate. Remember the cab driver named Martin? Well, in the original Martin played a much bigger role. And Le Swiss was his nickname. But as you'll see, his role was probably a little too coincidental to be believable (although that could probably be said for many parts of any fictional tale), but he was still a fun character. The first section depicts when Billy first meets him after Dana pulled the gun on him and drove off. 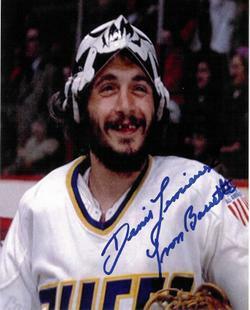 The pic is of Charlestown Chiefs goalie Denis Lemieux, he of the classic quotes, played by the actor Yvon Barrette. Also a French Canadian goalie, and goes with the Slapshot theme in the book. In retrospect, I wonder if I was subliminally channeling him when creating Le Swiss. 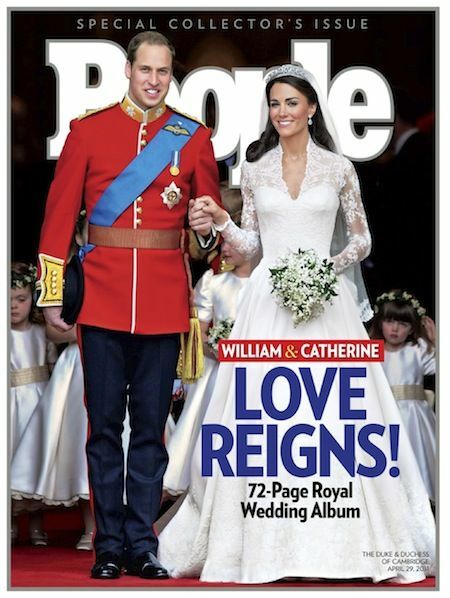 But since he ended up on the cutting room floor, I guess it doesn't matter. As always, the deleted chapters are unedited, and might no longer fit the final version of the story. I have good news and bad news—which would you like to hear first? A common greeting of the modern day messenger. A saying that most likely began eons ago in an attempt to soften a blow. And the reason there’s a phrase, don’t kill the messenger, was probably because at one time it was a very common practice to kill the messenger. Over time it seeped into the modern vernacular. Billy thought how someone answered that question said a lot about their outlook on the world. Are they optimistic or pessimistic? Are they hopeful, or are they trying to go through life shielding themselves from feeling pain? Selecting good news first is more logical and fits with the pulse of life. Good news—birth—ends in what most believe is bad news—death. Billy always chose the bad news first. Not because he was a masochist, but because he was a writer. In a great story, the character will rise from the ashes—overcome odds—endure. A great story always starts with the bad news and rise toward triumph. He hoped this case would be no different. In his current predicament, the bad news was adding up. Dana had held him at gunpoint, opened up past wounds, accused him of being a kidnapper, and worst of all, drove off with the tracking device in the backseat. She left him standing alone on Union Avenue without even a phone—he was helpless to do anything. Good news: He found a taxi at a gas station about a half a mile up the street. Bad news: the cabbie was off duty. Bad news: Billy had no idea. In the last week's deleted chapter "Westward Bound" Billy, Dana & Carolyn take a detour to after escaping Operation Anesthesia in upstate NY, and head to Billy's hometown of Johnstown PA. In this week's chapters, they seek refuge at the home of his former football coach, who is referenced throughout the book. What I like about this chapter(s): Since Coach is mentioned prominently in the book, I like that he was brought to life, and by doing so, more is learned about Billy and what drives him. Coach's interaction with Carolyn also brings out his softer side. Why was it cut? : These chapters are an extension of "Westward Bound" so the same reasons apply: Speed, pace, and it just didn't make sense to be taking detours when running for life when every second matters. Note 1: If you're wondering about the choice of photo, All the Right Moves was filmed in Johnstown, and it centered around a headstrong football player and coach who butted heads, which sounded familiar. Although, the big difference I think is that Billy Harper is way cooler (and taller) than Tom Cruise. Note 2: My HS football coaches were much different than Coach Blake, but that doesn't mean they didn't help shape as many lives. So with that said, I'd like to wish my coach, Chuck Drury, the best as he recently decided to leave my old school after 35 years! In football terms it was a Hail Mary. On the second knock a light shot on inside the house. Billy took a deep breath, then another, before the front door aggressively swung open. Dana stood behind him, holding a still-sleeping Carolyn in her arms. A man dressed in a bathrobe stood in the door-frame. He angrily put on a pair of glasses as if he didn’t believe his initial finding. “What the hell are you doing here?” he screeched. As I've been going through the editing process the last few months- what to cut, what to keep - it made me think back to when I did the same for Painless. Upon returning to the cutting room floor, what I found were some chapters that I wish I had kept in, some that deserved to be cut, but were still interesting as a sole entity and had some value, and some that were downright disasters of the "what was I thinking" variety. So I thought it might be interesting to post some of the worthwhile chapters. The plan is to post a couple chapters a week here at the blog (minus this long, boring intro). Sounds like a good summer Friday thing. One little note of caution: I am posting them as they last were before they were cut, no additional editing or proofreading was done, so might be some rough patches. Also, once a change was made to Painless - ie. something or someone was cut - the story changed, and must compensate. So basically, not everything will be in perfect symmetry to the story in the final version of Painless. Deleted Chapter #1 "Westward Bound"
Summary: In the book, when they escaped upstate NY using the Muddle Huddle (Chapter 65-72), they go directly to NC to try to get to Dr. Jordan. But in the original, they first trek westward looking to hideout while they ponder there next move. 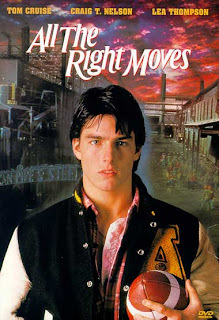 In doing so, they return to Billy's hometown of Johnstown, PA, and his return to his roots (and facing his past) helps him figure a way out of trouble. As is the case with their journey, they feel the stress of Operation Anesthesia closing in on them. Why was it cut? Simply put - speed and pace. I liked this storyline, and thought it showed much insight into Billy, but it just didn't make sense with so little time at their disposal, to be doing anything but taking the most direct route to NC (where they though Beth and Chuck were) and Dr. Jordan (who they thought was the key to finding them). They moved westward, facing more danger and than Lewis and Clark ever did. It certainly wasn’t the most linear route to Clarksville, but it was the one Billy was most familiar with, and right now home court was one of his few advantages. 1. Are there going to be more books? 2. (If so) when will they be available? 3. What are they about? 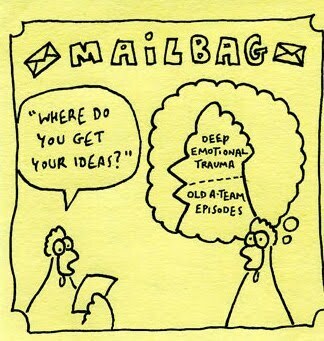 So this mail bag will focus solely on those categories. 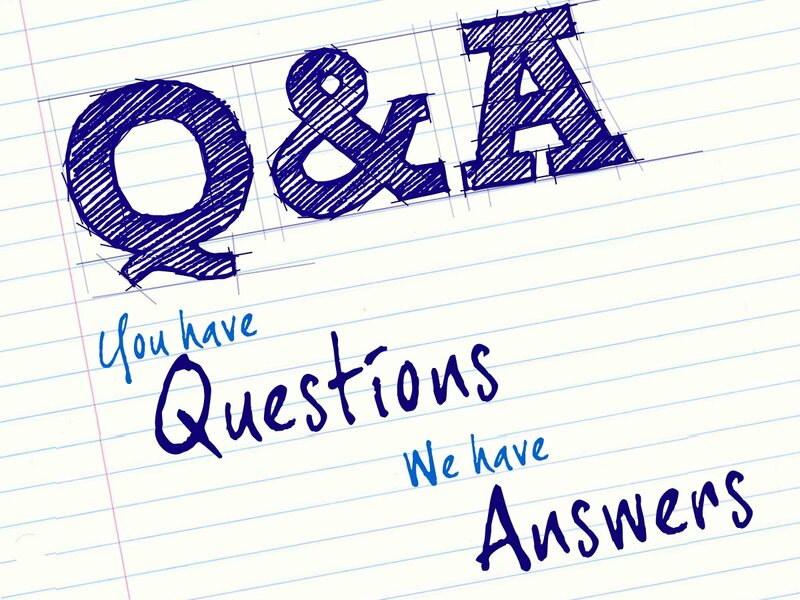 If you have any follow-up questions on the subject, or I didn't cover something, feel free to email me at derekbkclb@yahoo.com. Yes. Painless has been a fun experience for me, so I look forward to putting other books out there and I'm excited to find out what people think. I don't have a specific date, but here is the general plan: I've identified 5 stories I've written that I hope to be made available in the next calender year. I'm shooting to have the first one released sometime this summer. Not sure if that timeline is realistic, but it's the plan as of today. I also expect any new material to be out in ebook version first, as the paperback/hardcover versions take longer. Since I thought Painless would only be read by friends and family, a lot of corners were cut and had to make a lot of changes on the fly. So for the upcoming books, I have put together a talented team to help me review them, edit, proofread, etc. This process takes more time, but hopefully the extra time and effort will be worth it. Are the future books like Painless? Yes and no. They are not a sequel or series, and none of them are about a girl who can't feel pain. The stories I've written have all been standalones - I have ideas for continuations of certain characters and storylines, and might write them in the future, but I enjoy meeting new people in each book, so that is where I have tended to go so far. The topics change from book to book, but the basic style remains the same. I guess they would be technically classified as mystery's or thrillers, but as was the case with Painless, I tend to mix a bunch of genres together, and basically write books that I'd want to read myself. The key for me is to write characters that I find interesting. I think of it like a cross-country airline flight - if the person sitting beside you is interesting, it often makes for an enjoyable flight. But if you sit beside the sort of people I generally get stuck next to on planes, then a six hour flight can seem like six days! The characters are usually ordinary people (or at least think they are) who end up in extraordinary circumstances. And while the topics of the books can range anywhere from a gritty crime story to the tale of girl who can't feel pain, as long as I care about the characters and want to find out what happens to them next, then the story will draw me in and keep me wanting (in my case, writing) more. And hopefully it will for you. Paid at Last! Paid at Last! Last week, after over-extending its stay by about eight months, the one month free offer for the ebook version of Painless ended (except on AmazonUK...long story). During this time, readers would often thank me for making it free, or feel sorry for the poor author who was forced to give his book away like a tag sale flyer and provide condolences. While appreciated, neither of these responses is really accurate (although I will still accept the $$ from those offering to send to me out of pity!). The free ebook offer actually was a great opportunity that unexpectedly took Painless to places I never thought it would travel - and I think deserves its own blog entry. Me: Wow, that's way more than I thought - what's that, like a few hundred a month? Mark: No, I meant it was downloaded 1,500 times last week. This got my attention, but was nothing compared to my surprise when those numbers multiplied by 30 the week after Xmas (I think everyone got an iPad for Xmas xcept me!) 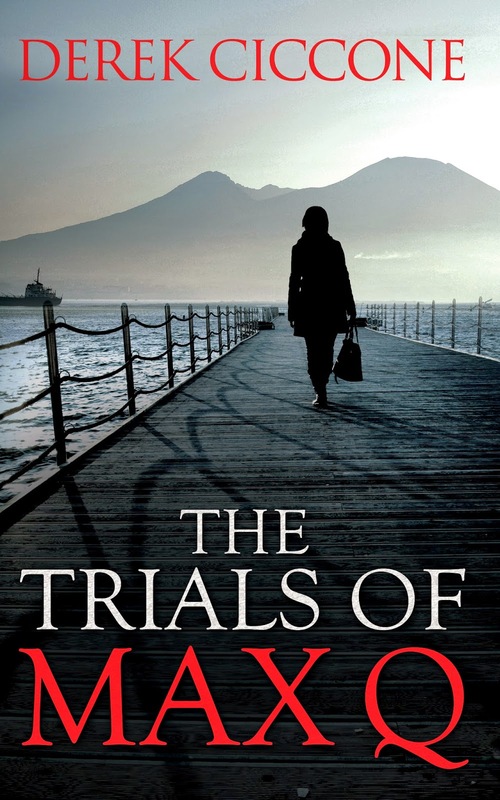 or that it became the most downloaded free ebook on AmazonUK in January of this year. 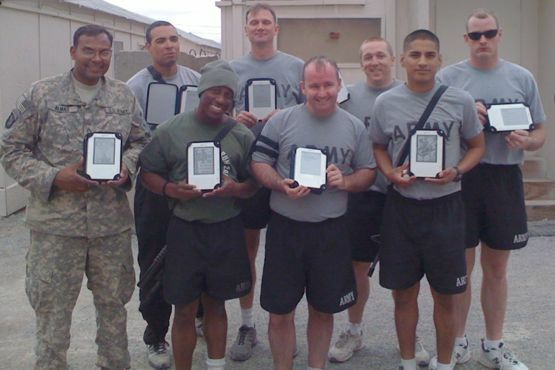 And while stats and numbers are great, the best part was the feedback I got from readers in Melbourne, Australia to Tulsa, Oklahoma to London, and so on, along with being able to participate in Operation Ebook Drop, which provides free ebooks for soldiers overseas. And let's be honest, if you're reading this blog entry it's most likely because you came across the book on the free offer, right? I have no idea how many of those who downloaded the book actually read it (although I do know that almost 2,000 people on iBooks have rated and reviewed it) and no clue what percentage of those who read it: liked it, hated it, or were somewhere in-between, but I do know that the free offer gave the book what any author would want - a vehicle to get their book into readers hands, and allow the readers to determine its fate. I would compare it to owning a restaurant that nobody knows about, and don't have the advertising budget to reach people - wouldn't that restaurant want to give away free meals to hopefully attract future patrons to the restaurant? In the pre-ebook world, it would be too cost prohibitive to give away free meals, but it's a whole new world now in the book industry (a topic that probably also deserves its own blog entry). The Painless ebook will now be selling for $6.99, so it will still be much cheaper than the meals at the fancy restaurants from the big publishers. Thanks again to everyone who participated in the free offer! 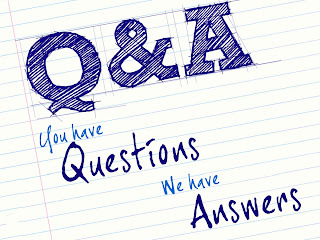 bought the book, read it, told a friend about it, told lots of friends about it, supported this blog, joined the Derek Ciccone Book Club on Facebook, made Painless one of the most downloaded books on iBooks for Apple, sought me out to speak about the book at their venue or to do a newspaper article on Painless, emailed me feedback, posted a great review of the book anywhere - Amazon, Facebook, Goodreads, or wherever, sent me encouragement, sent me constructive criticism or pointed out a grammatical flaw, had their book club read it, purchased it for a gift for someone, businesses that gave it to clients as a gift, soldiers in Operation Ebook Drop who actually thanked me for providing the book when I really should be thanking them, helped me with all the technological stuff that was way over my head (thx Dirt! ), brought the book to school for show & tell for their 2nd grade class, and everyone who asked me when the next one will be coming out and tell me they can't wait! Back in August I did a mail bag here at the blog that answered common reader questions. Didn't get to all of them, and also have received a bunch of awesome feedback since then that is full of great questions - which leads us to Mail Bag #2!! How can I get a signed copy of Painless? I must admit, signed copies were not something I factored on and I don't really have a good solution for, BUT that doesn't mean I can't get you one. Of the readers I have worked with, they had contacted me via email and I ended up sending them a signed book, and in turn, they sent me a check for the book to an address I provided them (I am working to set up a PayPal account to make this process easier) Obviously this takes some trust on both sides, but those who contacted me were really interested in getting a signed copy and I was really interested in getting them one, so it was able to work out well. I think Painless would make a great movie! Okay, this is more of a comment than a question, but probably the most common mention I have received. It also makes me chuckle because the first advice someone from the "industry" ever gave me was never say the book would make a good movie or that your grandmother likes it (for the record, grandma thought it was okay but the ending could of been better). But hey, I'm all for it becoming a movie one day - closest thing we have is a cool book trailer - I currently own the movie rights, but I'm really not qualified or funded to make a movie, so it will require someone, to steal a line from a movie, to make me an offer I can't refuse. Who would play Billy or Carolyn? Now that sounds like another blog entry for another day. How come the price is different in different places? For the print version, I set the price ($15.99 paperback) when sold through my web site or publisher. But I have little say over what Amazon, Barnes & Noble and other affiliates do if they want to raise or lower the price. The ebook version is much different, because the price can be changed at any point, and often is. The popular free Apple/IPad offer is a good example of this - while such an offer is not possible at Amazon Kindle. Will you be offering any deals for the holidays? I think the real question here is where did 2010 go? Wow. But yes, I plan some discounts for those looking to give Painless as a gift. And if I don't say so myself, the hard copy version really makes a nice gift. Stay tuned! Unfortunately, I have found becoming a "writer" makes a lot less time to be a "reader." The books are stacking up on the nightstand!! I am currently "working on" Girl with the Dragon Tattoo by Stieg Larsson, but I don't think I've done it justice with my constant starts and stops. 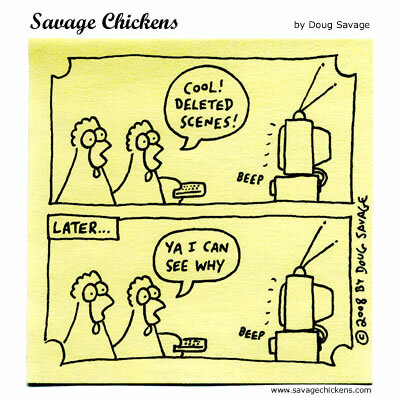 My two favorite writers are Harlan Coben and Nelson Demille and I gobble up anything they write. I think I mentioned in a blog entry from long long ago that the Firm by John Grisham was an inspiring book for me. As far as the classics, I'm a big Gatsby fan and have often referenced it somewhere in stories I write (don't think I did in Painless, but not totally sure). I'm interested in the Peanut Butter & Jelly childrens book that Billy writes in Painless. Any chance you'll write a version in real life? I joined your "Book Club" on Facebook? Is it a book club or a fan site - I don't get it!? 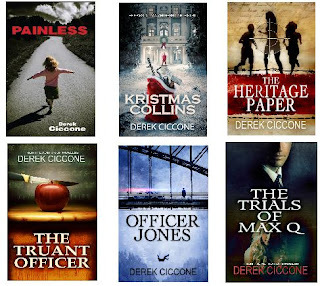 The Derek Ciccone Book Club on Facebook is a "fan" site for Painless and myself, but it is really belongs to the "Bookclubbers" who've joined. The name was an attempt at being clever that turned out to be confusing - I get people all the time messaging me, asking if my "bookclub" will read their book, to which I respond, will your book club read my book? They tell me they don't have a book club, and I tell them, neither do I. Like I said, confusing. But the last time I checked, Facebook doesn't allow me to change it while maintaining the current site, and it's kind of entrenched now. But it's a great place to find more information on the book, updates on possible future books, get links from the blog, and a chance to post your thoughts on the book and discuss it with other "Bookclubbers." Join today and tell your friends!!!!! PS My grandmother really did like the ending. For those who didn't get the link to the Painless video trailer, I finally figured out how to upload a video to a blog entry.It will be up soon at the Web site and the Book Club @ Facebook. 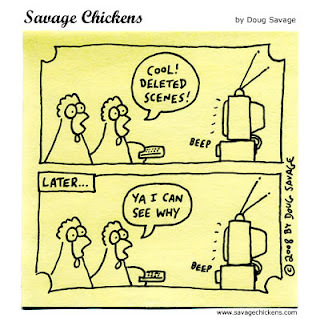 Pertaining to the title, despite rumors of its demise, video never was able to kill the Radio Star (Lady Gaga comes to mind), just as new technologies won't kill the author or the publishing industry, whether that is new ways to read books such as Kindles and IPads, or marketing techniques like book trailers. Some resist the changing landscape, while the Video Generation often searches first for books in places like YouTube. In the end, things like book trailers are just another tool in the toolbox for authors to get their work in front of an ever-evolving audience, and from Shakespeare to Stephen King that's always been the point, right? And even Shakespeare has a book trailer online! For those who didn't receive my recent SPAM...errr...informative email newsletter, below are a few highlights - topics include a link to the new Painless trailer, a free Apple IPad giveaway gone crazy, and some grammatical renovations that will be seen in the near future. Anyone interested in receiving the complete e-newsletter - and don't fear, only send them occasionally when there is a relevant to communicate, and would never distribute your email address - just send me an email at derekbkclb@yahoo.com and simply say you want to get the email updates. Painless enters the video age! Be sure to check out our new book trailer on You Tube. 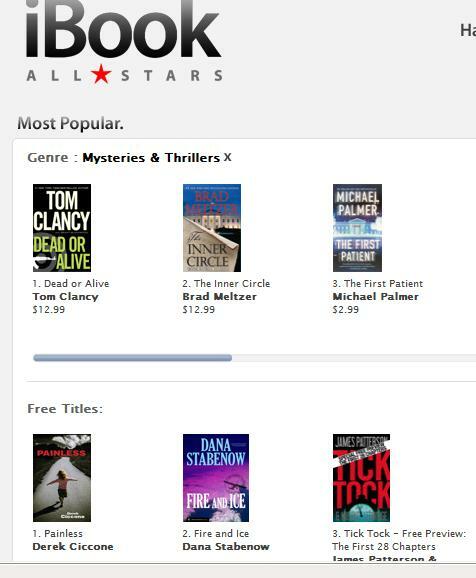 This past summer Painless was the most downloaded "free title" in the Mystery/Thriller category on Apple iBooks (until some guy named James Patterson decided to offer a free sample of his latest book, knocking Painless to #2, where it currently stands) and as high as #8 for all books. Click here to check out the latest status. This was obviously pretty surprising news to me, to say the least. When the last Q&P newsletter came out, Apple had just introduced the IPAD. For what I thought would be a brief promotion, Painless was offered for free on Apple products, with little expectation. But obviously I underestimated the power of "word of mouth." Thanks to not just those who downloaded it, but also those who spread the word. 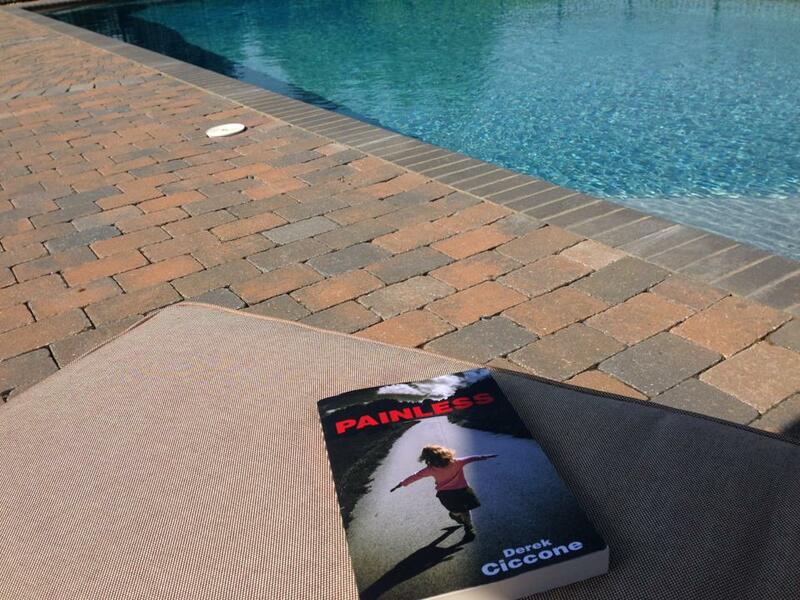 And for the the great feedback I've received from those who've read it - Painless has received over 550+ reader ratings (4 star out of 5 average) on iBooks. To put that in perspective, the aforementioned James Patterson's summer blockbuster Private has been rated approx 280 times. While the free offer probably hasn't made the best bottom-line business sense, I don't think there is any way to put a price on having the opportunity to have Painless reach places around the globe I never could've imagined. So the plan is to keep the free offer going for a while longer - so keep taking advantage, Apple users! In an effort to continually improve the product, I recently had Painless editorially reviewed, with the goal to remove any grammar or proofreading glitches. Thanks to everyone who brought some of these to my attention. And thanks to Hillel at ProEditing and Amber at DogEar Publishing to help make this happen. These adjustments should be seen in the very near future, and only consist of a few structural elements - the story hasn't been altered in any way.